EPI Southern Nevada Event: November 15 | The Risk Management Process: What’s Your Role And Why Should You Care? The Risk Management Process: What’s Your Role and Why Should You Care? Whether it is an individual or business client, virtually every business professional has a role on their clients’ risk management team. As wealth increases, businesses grow, and the world becomes more complex, the need to manage risk becomes more evident. Your commitment to proactive planning can equate to asset preservation and loss prevention for your clients. We will discuss why asking your clients the right questions about their personal and commercial insurance can help further solidly your relationship and more importantly, protect what means the most to them. Learn from Janice Fleming, an Account Executive with Cragin and Pike Insurance Agency, and Vance Jolley of Distinctive Insurance about the Risk Management Process and how to protect your client. This meeting is sponsored by Fair, Anderson & Langerman. This meeting will be held at Cili Restaurant at the Bali Hai Golf Club. To learn more about upcoming events, visit www.EPINevada.org. The EPI Local Chapter is different than other groups because it brings together a diverse group of professionals from a wide range of specialties that can naturally work collaboratively on exit planning, succession planning, value growth, transaction or any engagement from both sides of the equation. The chapter meets regularly to network, reconnect, grow knowledge, and sharpen their skills with a common goal: Change the outcome for transitioning business owners. Make plans to join us for future events and connect with the local leadership by visiting www.EPINevada.org. Janice Fleming, an Account Executive with Cragin and Pike Insurance Agency, manages all aspects of prospect development and introduces new clients into the Personal Insurance Risk Management process. She focuses ondefining and interpreting the insurance needs of prospects and identifying solutions to address these needs. With the accumulation of wealth comes increased complexity and a greater need for risk management. 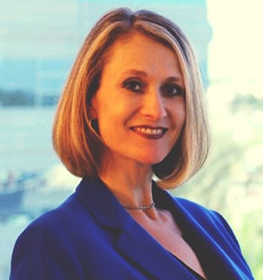 For 25 years Janice has specialized in simplifying, consolidating, and managing a broad spectrum of exposures often unique to affluent individuals, families and family offices. Prior to joining Cragin and Pike in 2017, Janice was a Vice President at Marsh Private Client Services for seventeen years and spent seven years at Farmers Insurance. She holds a Certified Insurance Service Representative (CISR) designation. Whether you or your clients have multiple high value homes, luxury automobiles, valuable collections, watercraft, personal aircraft, domestic staff, or unique security concerns or simply a want for personal asset and wealth preservation; Janice excels in customizing personal insurance portfolios designed to specifically address all of these concerns. Janice is a proud mother of three Eagle Scout sons and is a native to Las Vegas, Nevada. She is committed to helping the community through her charitable works with the Boy Scouts of America, Susan G. Komen Breast Self-Awareness, Helping Hands of Vegas Valley, The Animal Foundation, Make-a-Wish, and many more. The goal is to design a unique insurance solution that will protect your specific lifestyle. A commitment to proactive planning today could equate to asset preservation and loss prevention tomorrow. Vance Jolley began his insurance career as an Account Executive in 2003. After starting and successfully growing his own agency, Vance merged his operations with Distinctive Insurance in 2015. It was the recognition of many shared values, including a customer-focused philosophy and an employee-centered culture, which led to this partnership. During his years of experience in the industry, Vance has specialized in providing many lines of insurance to organizations as well as individuals. He has particular expertise in providing insurance solutions to those in the construction, hospitality and educational/religious industries. As a Las Vegas native, Vance stays active in the insurance industry as well as the local community. He has particular interest in making a difference in the lives of youth. He finds great joy in being a “Big Brother” in the Big Brothers Big Sisters organization and in coaching youth basketball. 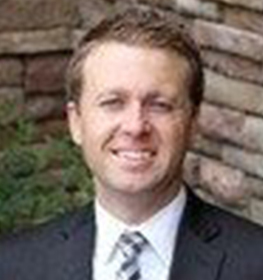 Vance is a corporate member of the Charter School Association of Nevada (CSAN) and is also serving as a Director for the Nevada Independent Insurance Agents Association (NIIA). He is a graduate of the University of Nevada Las Vegas with a Bachelor of Arts in Business Administration with an emphasis in Finance. He is also fluent in Spanish. Vance enjoys spending time with his wife, Melissa and their four children, Maxwell, Kate, Ezra & Quinn. He finds enjoyment in almost any sporting activity such as basketball, golf and wakeboarding.